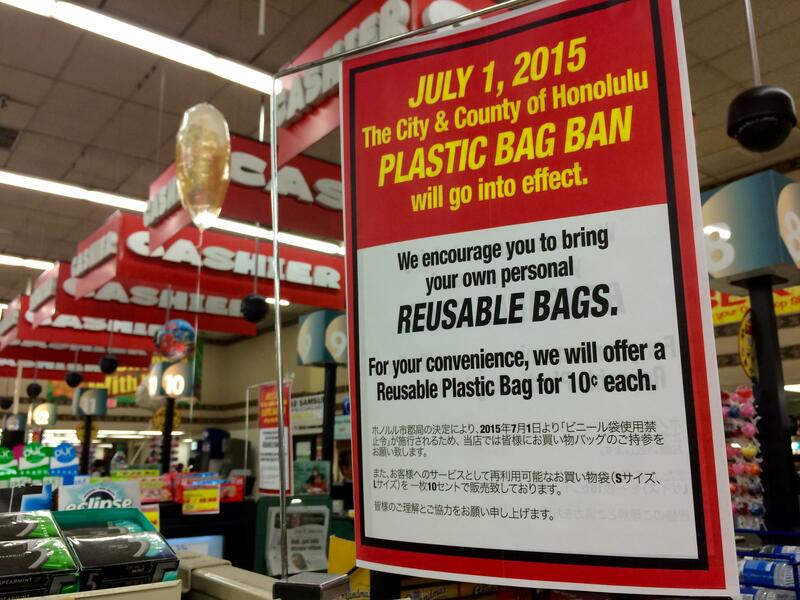 A sign reminding Don Quijote customers about the plastic bag ban on Oahu. 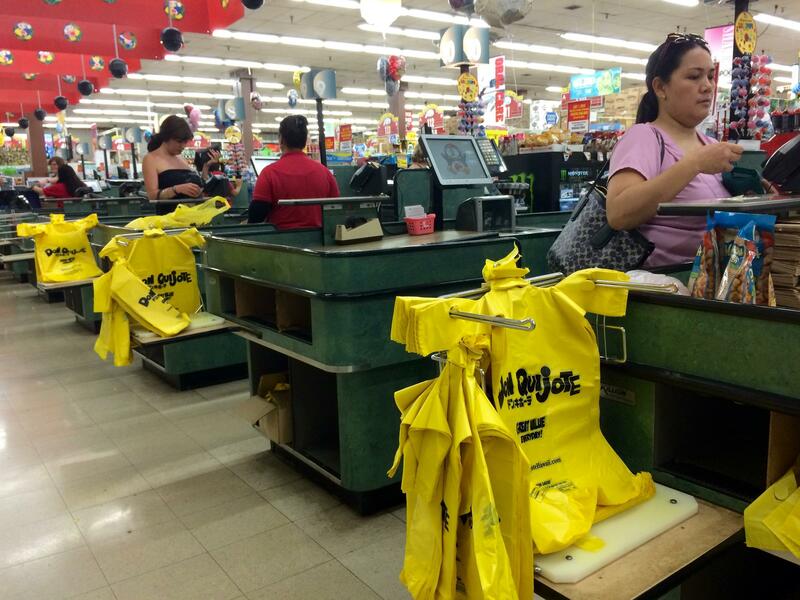 Plastic bags will no longer be offered at Oahu grocery stores, like Don Quijote. 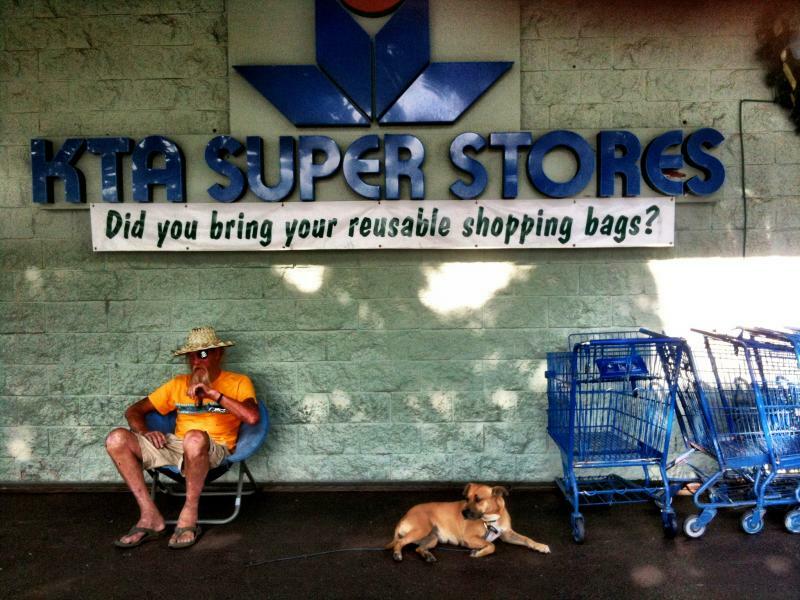 Honolulu County grocery shoppers will no longer be asked the question: paper or plastic? Starting tomorrow, O‘ahu will become the final county in the state to enforce a plastic bag ban. HPR’s Molly Solomon has more. The plan to ban plastic bags in Honolulu has been delayed until next year. Members of the Honolulu City Council introduced Bill 38 to more precisely define the word biodegradable. Councilman Stanley Chang said the bill was deferred last week to allow more time to study the impacts of the measure. 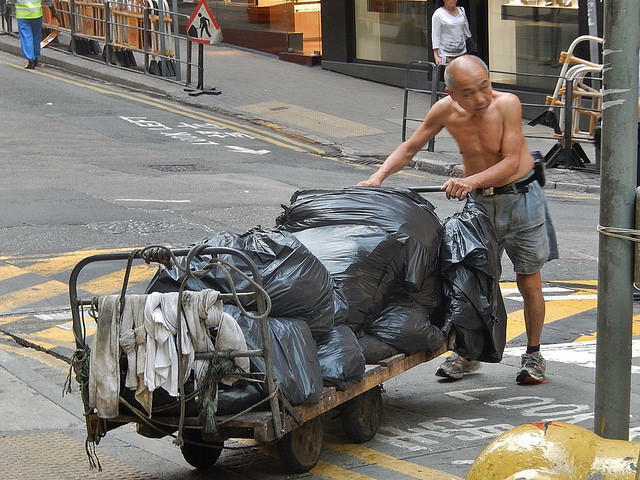 Experts say that there is no such thing as a 100% biodegradable bag, so advocates are pushing for an outright ban. 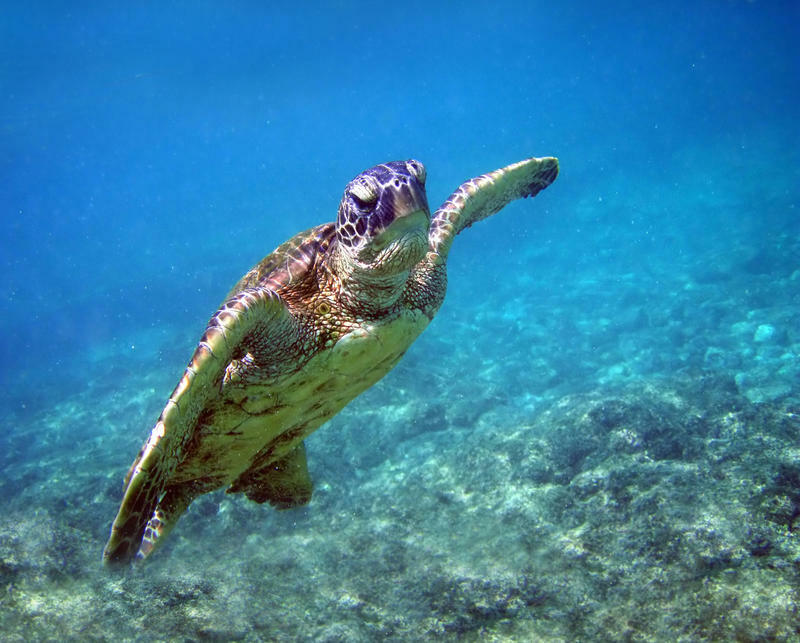 Suzanne Frazer represents the Beach Environmental Awareness Campaign Hawaii.